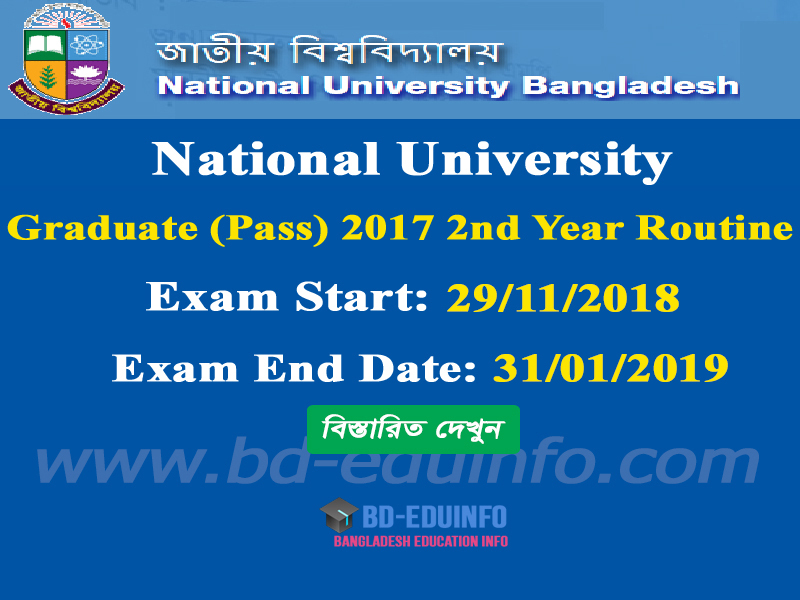 National University (NU) Graduate (Pass) 2017 3rd Year Exam Routine has been published on http://www.nu.edu.bd/ and The Daily Kalerkontho. Graduate (Pass) 2017 is going to start 29/11/2018 and continue up to 31/01/2019. The Exam routine of all National University (NU) under college together. Tags: www.nu.edu.bd, www nu edu bd, National University (NU) Graduate (Pass) 2017 3rd Year Exam Routine. 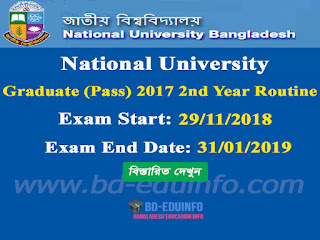 www.nu.edu.bd, www nu edu bd, National University (NU) Graduate (Pass) 2017 3rd Year Exam Routine.